Now Let's Talk Some Serious Soup!!!! We will be offering classes which are streamed 2 times per week. 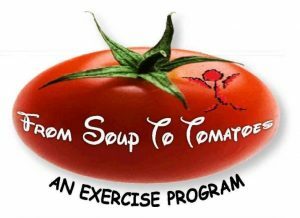 The classes are led by a souper amazing instructor, Renée Desjardins, RN, BA, Certified Personal Trainer, Older Adult Specialist and Certified Yoga Instructor. BASIC STARTS AT 9:00 – 9:45 A.M. Currently the Township is gathering numbers of residents that are interested in this program. This is to ensure I secure enough weights for the group. Please contact Karin Bates at (705) 869-0225 or email karin@baldwin.ca if you are interested in joining our new exercise program.